Warren Forestry specialises in creating and managing Radiata pine and Douglas-fir multi-site, multi-species joint venture forestry investments. 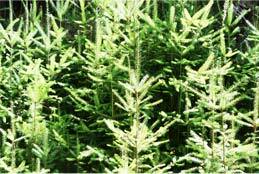 These consist of twenty-five forest stands of Radiata pine, eleven of Douglas-fir, and one of Monterey Cypress. The company continues to manage the forests, as well as administer the investors' partnerships, which are self-managing. 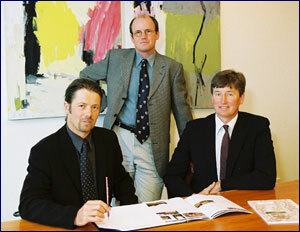 The company's directors are three cousins who together possess diverse and complimentary skills and experience. Dugald is a graduate of the School of Forestry at the University of Canterbury. Since 1975 he has established 200 hectares of forest of several different species at Melrose, his North Canterbury hill country farm. In 2010 Melrose won the Balance Farm Environment Award for Canterbury. From 1990 to 1992 he was President of the New Zealand Farm Forestry Association. He is a member of the NZFFA Research Committee, a Director of the Canterbury Forestry Foundation, and a trustee and forestry advisor of the Anglican Schools Forestry Trust which administers 2000ha of forest in the Wairarapa. In 1994 Dugald and his wife Mandy were selected 'South Island Farm Foresters of the Year' by the NZFFA, and in 1996 Dugald won the North Canterbury Farm Forestry Association prize for the best stand. Charles W Etherington LLB Dip. For. Until 1994 Charles practised as a Barrister and Solicitor in London and Christchurch. A joint venture forestry investment with Dugald in 1990 led to the creation of Warren Forestry and a change of career. He is a member of the North Canterbury Farm Forestry Association and has a post graduate Diploma in Forestry from the School of Forestry, University of Canterbury. Charles is Managing Director of the company. Andrew, a graduate of Lincoln University, is a Chartered Accountant practising as a sole practitioner in Christchurch with a focus on primary sector accounting. He is a member of the North Canterbury Farm Forestry Association, and is an investor in joint venture forestry.